Gordhan apologises for inconvenience caused by loadshedding - SABC News - Breaking news, special reports, world, business, sport coverage of all South African current events. Africa's news leader. 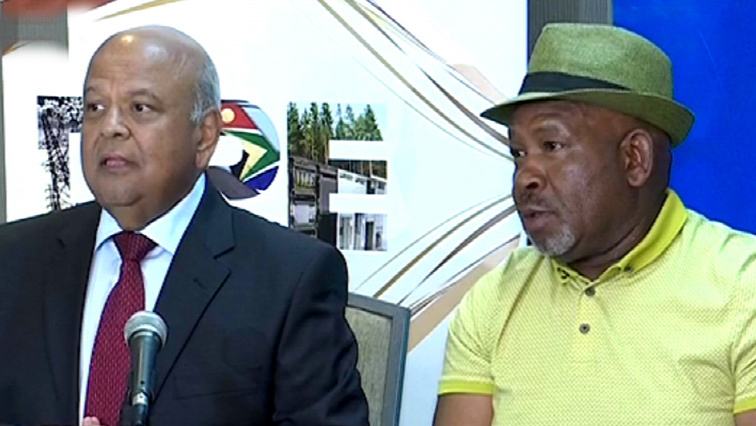 Minister Pravin Gordhan and Eskom Board chairman Jabu Mabuza addressed the media in Rosebank. Gordhan and Eskom Board chairman Jabu Mabuza addressed the media in Rosebank, north of Johannesburg, on Tuesday. Mabuza says the lack of maintenance of units at power stations has been the main cause of breakdowns in power supply. He says Eskom has a number of operational and structural challenges that are contributing to the utility’s overall problems. Mabuza says the load shedding comes as a result of reduction in supply while repairs are being done on units. He also admits that Eskom’s capacity is not meeting the demand. This entry was posted on 19 Mar 2019,12:04PM at 12:04 PM and is filed under mobile-leadstory, Business, News. You can follow any responses to this entry through the RSS 2.0 feed. Both comments and pings are currently closed.